Providing a specialized service for landowners to deliver more timberland value, HITREE Logging offers a light footprint to access hard-to-get timber stands, with the equipment and operational knowhow to go where conventional logging companies can’t. 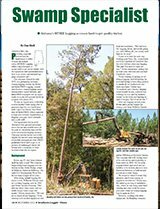 The company, formed in early 2015, is a partnership between swamp logging veteran Jay Huber and IndusTREE Logging, created after Huber’s swamp logging operation needed a capital infusion, and IndusTREE managers saw an opportunity to access low-ground timber in a region with plenty of it. 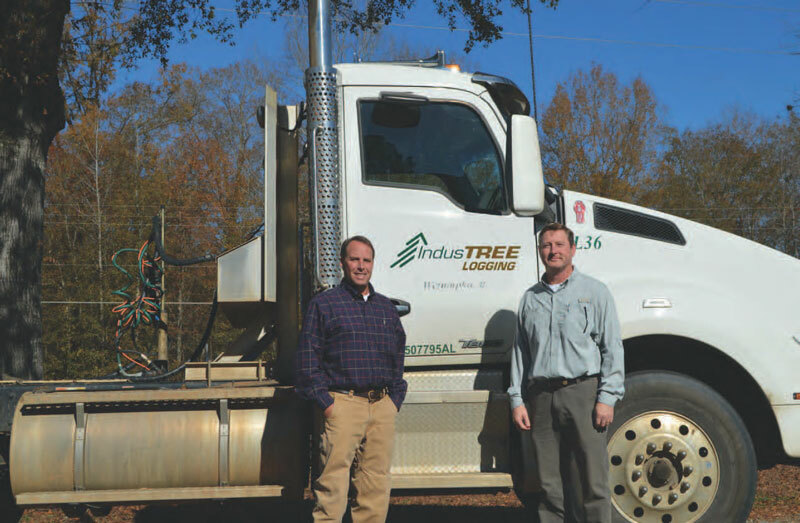 “It was an opportunity to develop a niche market while being able to generate logs for our Castleberry mill,” says Lee Davis, Vice President of IndusTREE, which operates a large procurement organization, a logging company, three sawmills and a pole mill. The opportunity lies in south Alabama’s low-ground timberland tracts that are inaccessible much of the year or completely inaccessible with conventional logging systems. This may include timber that’s fully eligible for harvest under sustainable streamside management zone (SMZ) guidelines but is hard to get to, or pockets of undamaged timber left behind after a hurricane or other weather event hits the region.